Washington (AFP) – US President Donald Trump demanded Wednesday that Russia remove troops from Venezuela and said again that he was not ruling out military action to topple far-left President Nicolas Maduro. 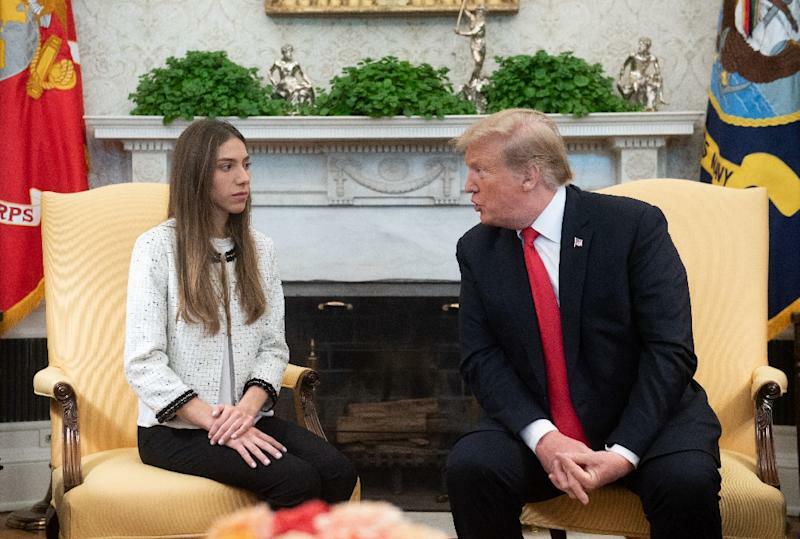 “Russia has to get out,” Trump said at the White House alongside Fabiana Rosales, wife of opposition leader Juan Guaido, who has been recognized by the United States and more than 50 other countries as Venezuela’s interim president in place of Maduro. “He’s been very clear when he says all options are on the table,” Trump’s national security advisor John Bolton told reporters at the White House. “I must say that there is no evidence that there is any value in speaking with Maduro at this time. His time has come, his time has gone, it’s time for him to leave,” he said. “Yes, I’ve personally been in conversations with each of those two governments,” Pompeo replied.